This Sunday sees Portuscale Cruises’ rebuilt traditional liner Funchal depart Lisbon on her first cruise for her new owners in a revitalization of the Portuguese passenger fleet. Meanwhile, on the other side of the pond, American Cruise Lines have announced orders for four new riverboats to be delivered between 2015 and 2017. 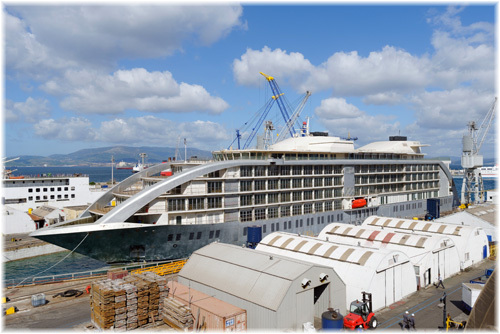 And in Gibraltar, final touches are being put to the 15,000-ton floating yacht hotel Sunborn Gibraltar. 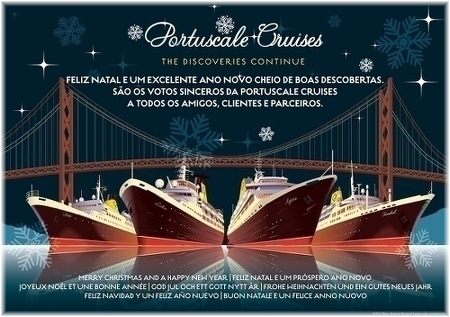 Portugal’s new cruise line, Portuscale Cruises, is about to place the 580-berth 1961-built Portuguese liner Funchal back into service next Sunday, when she departs Lisbon on a 7-night New Year’s cruise from Lisbon to Madeira and Morocco. Among the rebuilt veteran’s first passengers will be cruise ship guru Douglas Ward from the Berlitz Complete Guide to Cruising & Cruise Ships, ready to give her his first rating under her new owners. The whole Portuscale fleet has now taken on very traditional colours, with the ships now sporting black hulls and red boot-topping separated by a narrow band of white, such as used by the North Atlantic liners of the Cunard Line and many others. At the same time, Portuscale has introduced traditional yellow funnels capped with black tops and carrying the Portuscale logo. 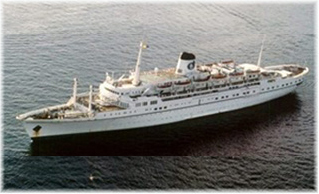 As well as the Funchal, which has always been owned in Portugal, the Portuscale fleet includes the 600-berth Lisboa, known until recently as Princess Danae, the 554-berth Azores, built as Swedish American Line’s Stockholm and until more recently called Athena and the 334-berth Porto, which last operated as the Arion. Newell’s Travel of Falmouth will charter the newly-rebuilt Funchal for a series of four cruises from Falmouth, aimed at residents of the UK’s West Country. The first, a 9-night cruise to Gibraltar and Tangier, will leave on April 22, with a 10-night cruise to the Norwegian Fjords to follow on May 1. Later in the year, Funchal will return to Falmouth for a 12-night cruise to the Canaries, Madeira and Casablanca, leaving on August 11, and an 8-night cruise to the French wine country departing on August 23. Between these dates, among others, the Funchal will be working for French charterer Terre Entière, which will offer a 7-night Norwegian Fjords cruise from Gothenburg on July 21 and a 13-night Baltic round voyage cruise from Zeebrugge departing on July 28. On October 10, the French tour operator will be offering an 11-night Mediterranean itinerary round trip from Marseilles. Last week American Cruise Lines announced ordered for four new riverboats destined for American waterways, the largest such order ever placed in North America. With the first vessel expected to be delivered in 2015, the first two ships will be destined for the Mississippi River, where the line introduced its 150-berth Queen of the Mississippi last year, and the Columbia and Snake Rivers, where it operates the 120-berth Queen of the West. American Cruise Lines presently operates six ships, four of which are coastal cruisers that sail along the coasts of New England, Chesapeake Bay and the US South, as well as in Alaska’s Inside Passage. The new additions will bring the fleet to ten vessels. The first two new riverboats will carry between 150 and 200 passengers. Like the Queen of the Mississippi, they’ll feature larger cabins than other riverboats sailing in North America as well as private balconies with cabins. All four are due to be completed by 2017. 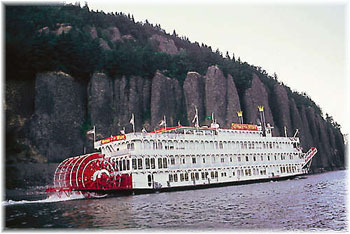 American Cruise Lines’ first riverboat, Queen of the Mississippi, was newly-built in 2012 and entered service in the same year that the American Queen Steamboat Company brought the 436-passenger American Queen out of lay-up to sail on the Mississippi. There had not been a vessel operating overnight trips on the river since 2008. American Cruise Lines’ new orders are no doubt a “glove down” to Viking River Cruises, who have been talking about introducing two US-built and US-flag rive craft built to their Viking Longships design. Viking River now operates dozens of river ships in Europe and worldwide. All four of the new riverboats have been ordered from Chesapeake Shipbuilding in Salisbury, Maryland, an affiliate of American Cruise Lines. Finnish-based Sunborn Marine’s 189-room five-star floating yacht hotel Sunborn Gibraltar is due to open in February, after she is delivered from the Gibraltar shipyard Gibdock for a full hull blasting and coating. The vessel arrived in Gibraltar on board a heavy lift ship in June. Originally intended for Barcelona, Sunborn more recently decided on Gibraltar, where she will become the territory’s first five-star hotel. The 466-foot Sunborn Gibraltar, built by the Boustead Naval Shipyard in Lumut, Malaysia, resembles an ultra-luxury cruise ship or mega yacht. Although she can move under her own power, she has been designed for use alongside, and features her own heavy-duty mooring arms. She will be berthed alongside Gibraltar’s Ocean Village complex. Currently being fitted out, the new vessel will have a casino, spa and fitness center, cocktail lounges, fine dining restaurants and a ballroom. 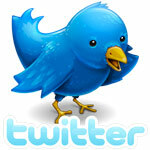 Conference and event space will be available for up to 540 delegates. Some 90% of the 189 guest rooms offer outdoor space, while all will have full-height glazing to capture Mediterranean views. Also due to open in 2014 is the Sunborn London II. Located next to the ExCel London exhibition centre this vessel will be an existing custom-built 400-foot Sunborn hotel yacht, equipped with 153 guest rooms including six larger Royal Suites. With over 107,000 square feet of floor space spread over five decks, Sunborn London II will feature spacious hotel facilities including a large open reception area with lobby bar, excellent conference and event facilities, and a 200-seat restaurant with wall-to-wall and floor-to-ceiling windows giving impressive views of Canary Wharf. The previous Sunborn London, a 354-foot unpowered vessel built in Finland in 1998, was the world’s first custom-built luxury yacht hotel, and was equipped with 103 suites and two Royal Suites. She was moved from Finland to London in the early 2000s but sold to Nigerian owners in 2008. That vessel’s replacement, the Sunborn Princess, has been berthed at the Naantali Spa Resort in Finland since 2002 and will now move to London to become Sunborn London II. Her tenancy at London’s Royal Docks will be under a fifteen-year contract.